West Bromwich Albion defender Steven Reid says that boss Steve Clarke's sacking came as such shock because the players did not see it coming. Clarke was dismissed just hours after the Baggies' 1-0 defeat at Cardiff on Saturday - their fourth loss in a row. "Over the years, you get a sense, a smell, that a change is coming, that the manager is in danger," Reid told BBC WM. "But this time there was none of that. We were shocked by the decision." With Clarke's number two Kevin Keen having also left, the responsibility for preparing the Baggies team to face Steve Bruce's Hull City on Saturday has fallen to joint assistant head coach Keith Downing and goalkeeping coach Dean Kiely. And, having been part of an Albion team who have dropped to within two points of the Premier League relegation zone, Reid recognises that the Baggies are in a scrap to stay in the top flight. "Make no mistake about it, we're in it," he said. "Anyone in the bottom half is in that relegation fight. "But this is not the time to feel sorry for yourselves and get down in the dumps. "Losing to Cardiff was a disappointing result, and to hear that news when we got back from the game on Saturday night as well made it a tough couple of days. "But, as footballers, you have to get on with it as best you can. You have to look forward. "We've got a massive fixture list coming up over Christmas. "It's a period that could define our season. And, with the form we're in, we need to stick together and dig in. "But we've got enough experience. We have people who've been in these situations before. "We've got to concentrate on what we need to do and give our full support to Keith and Deano. "They've been part of the club for a few years now. And they've got the full backing of all the staff. " Reid also admits that he took Clarke's departure harder than most, saying the Scot was one of the best coaches he has played under. "It's been a tough one for me to take personally," added Reid, who joined the Baggies from Blackburn in 2010. "I had a really good relationship with the gaffer. Over the last 18 months, since he's been here, he's become one of the biggest influences of my career. "He came in at a time when I was already looking to the next stage of my career. "His organisation and preparation and the way he goes about his coaching I've respected since he came in. "I've been constantly knocking on his door asking for advice. 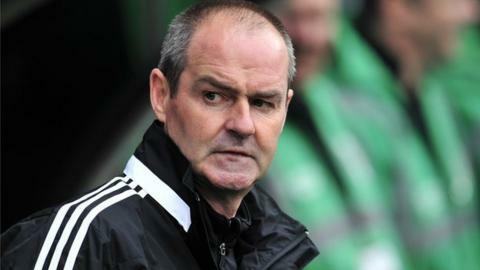 "There's no-one better you can learn from than Steve Clarke."